BEER! We love a good beer fest, but there are a few key elements that really make certain beer festivals better than others! Here’s our top picks and why they’re special! This festival ranks at the top with beer lovers. Not only are they offering up more than 100 styles of local beer to sample from around Massachusetts, but the setting is stunning! Located at The Seaport World Trade Center Head House Concourse on Boston’s historic waterfront, patrons will have the best scenic water and city views. Live music will be playing throughout the evening too. Anyone up for a trip to Boston? Southern Brewers Festival is a big hit in the Southeast! 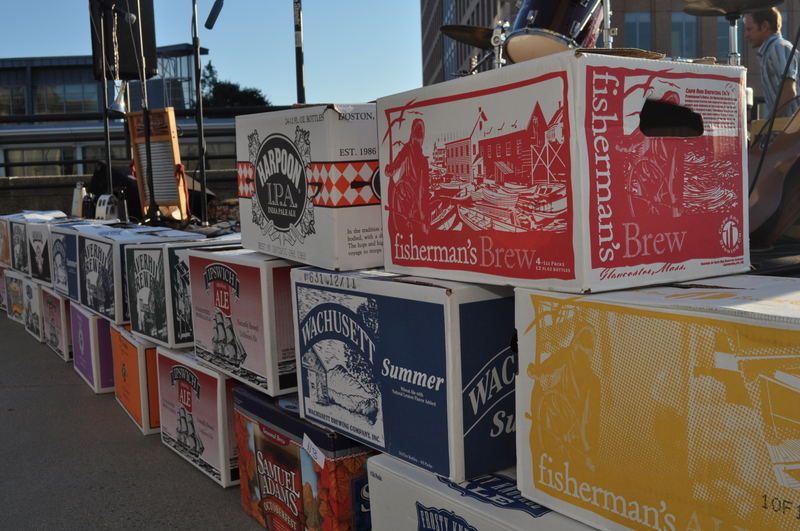 Located on the riverfront, beer lovers and music fans come out to enjoy a long, but fun-filled day of beer sampling and live music. The concert lineup is a huge draw and includes The Black Lillies, Toubab Krewe, Chuck Leavell, Perpetual Groove, and Drive-By Truckers! Located at Stoudts Beer Garden & Banquet Hall, this event rocks because the ticket includes 4 hours of sampling, a buffet, live music, souvenir glass and a free shuttle to and from select local hotels! Come thirsty and hungry! From 11AM-1PM, Shmaltz Brewing Company Founder/Proprietor, Jeremy Cowan, will be speaking about creating the only Jewish celebration beers in America, and describing the adventures he’s had along the way. Beer sampling begins at 1PM and includes unlimited 3oz samples, and a souvenir tasting glass. This beer festival falls on the Saturday before Halloween, so of course some folks will come out dressed as their favorite Walking Dead zombies. A 5K race in trendy Inman Park kicks off the fest and then runners can replenish with a cold beer or 4! So tell us @TktAlt which Beer Festival you’re heading too! Looking forward to hearing your responses! Cheers and let’s thank our trusty Designated Drivers! We’ll continue to keep you posted on more Beer Festivals! Decatur Craft Beer Festival tickets go on sale in mid-September! Stay tuned!